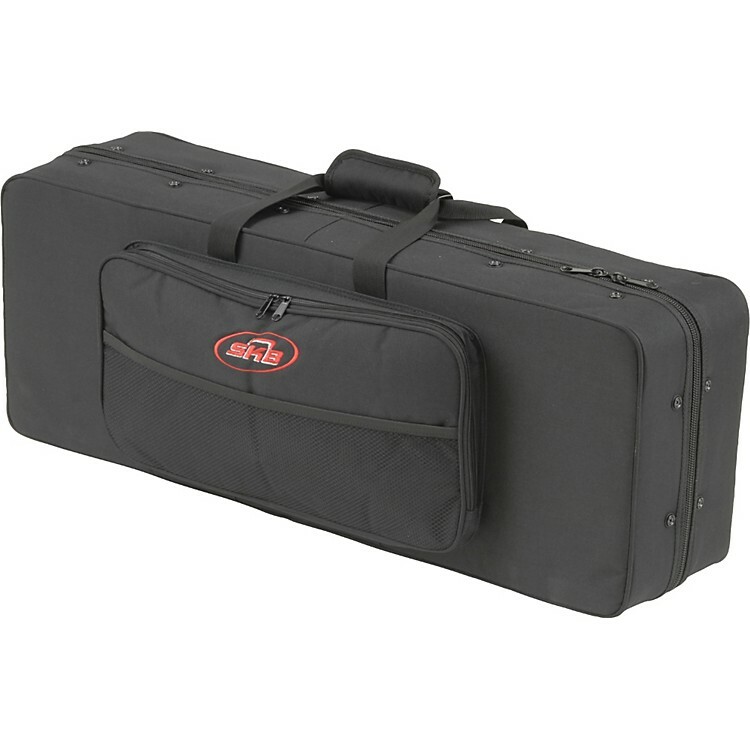 The 1SKB-350 Tenor Sax Soft case utilizes the same protective EPS plush lined interiors as their hardshell counterparts, but is wrapped in 600 Denier Nylon. This soft case style includes heavy-duty dual zippers and an external pouch for storage of accessories. Comfortable carrying handle and a padded adjustable shoulder strap make the Soft Case a lightweight alternative to a hard case.